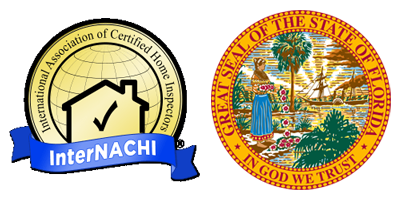 Blue Knight Inspections is owned and operated by certified home inspector, Juan Cruz. 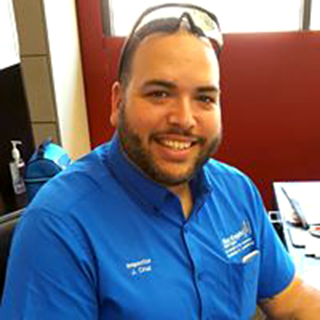 Juan began inspecting homes in 2014 after he decided on a more hands-on career change and passed the Home Inspection State Exam in Florida. He has inspected over 1,500 homes for his satisfied clients and is passionate about helping people make wise decisions when it comes to purchasing and maintaining their homes. Juan began a career in construction at a young age. He started in the industry with a job laying and cutting tiles, and he eventually landed a position constructing mobile homes. This experience taught him how the systems in a home work and what to look for when deciding what systems and components require repair. He eventually moved on to a career in law enforcement, where he earned several awards in his first few years and got promoted to detective. His detective experience helped him develop an extremely keen eye for details, and he uses this skill to this day as a home inspector. After finding himself craving a more hands-on career and inspecting homes for other companies for a few years, Juan eventually retired from law enforcement, started up Blue Knight Inspections, and began inspecting homes full-time.